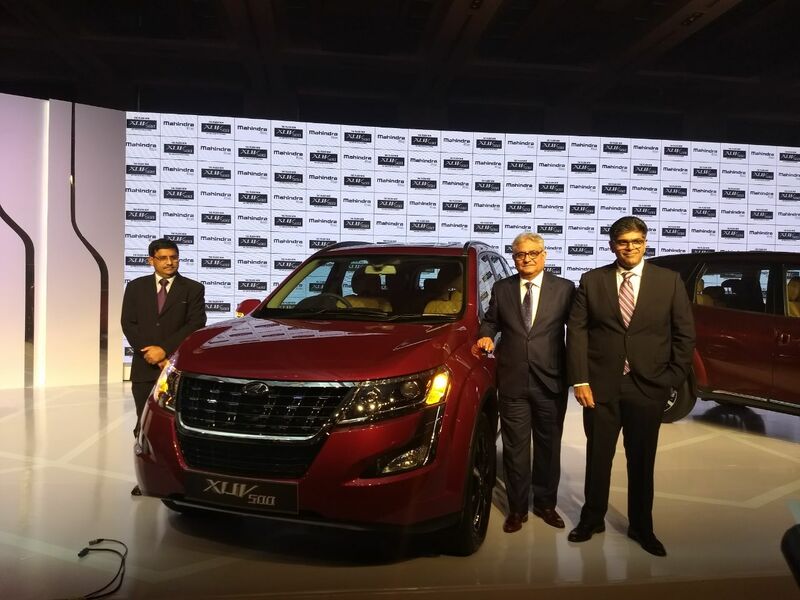 The 2018 Mahindra XUV500 facelift has been launched in India today with prices starting at Rs. 12.32 lakh (ex-showroom, Mumbai). Aafter numerous spy shots and leaked images making it to the internet, the new XUV500 arrives receiving its most comprehensive overhaul with bold new styling, more features and a more powerful engine in tow. 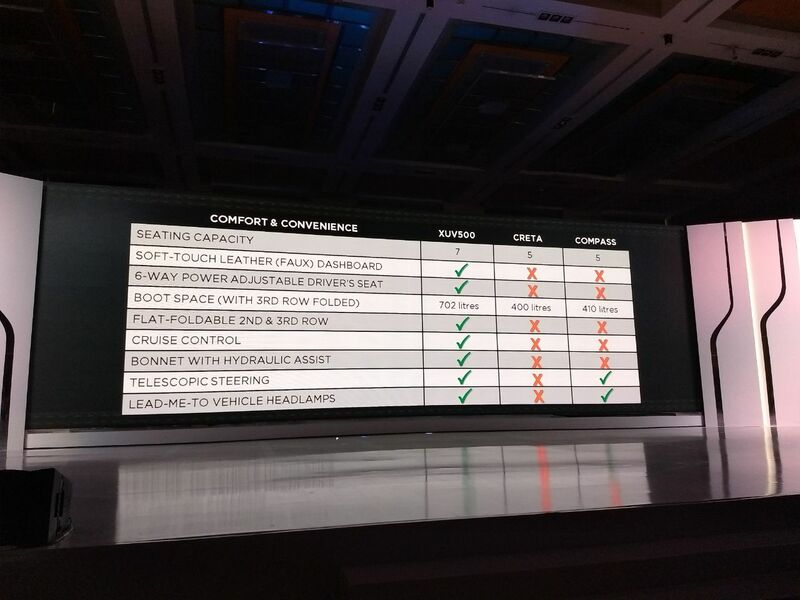 Mahindra's first monocoque offering also gets a new top-of-the-line variant - W11, while the overall variant count has been trimmed to four - W5, W7, W9 and W11. 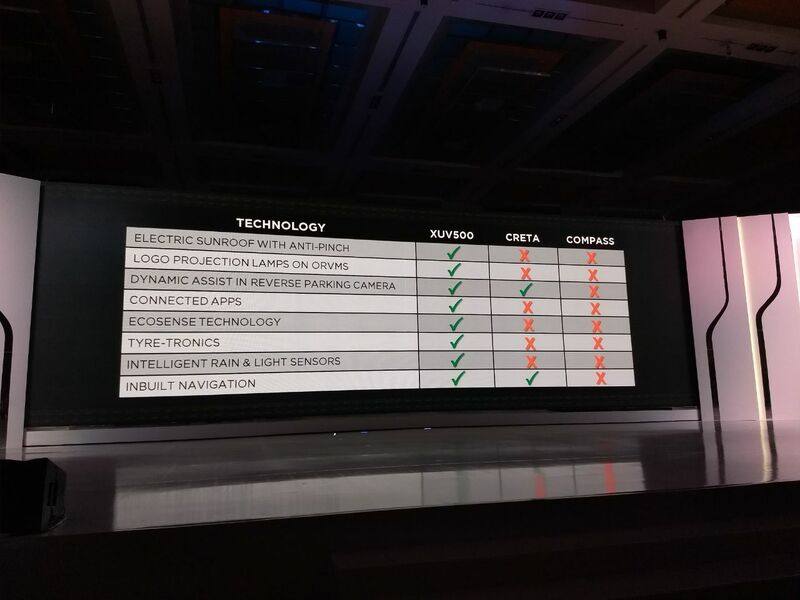 Having dominated the segment for most part of this decade, the XUV500 is now facing the heat from the Tata Hexa, Jeep Compass, Hyundai Creta among other models, and this update is expected to keep the model fresh until the next generation version arrives. The updated Mahindra XUV500 facelift arrives after almost three years since the previous update. Styling upgrades include a bold new grille, new headlamps and LED DRLs, new taillight design and alloy wheels. 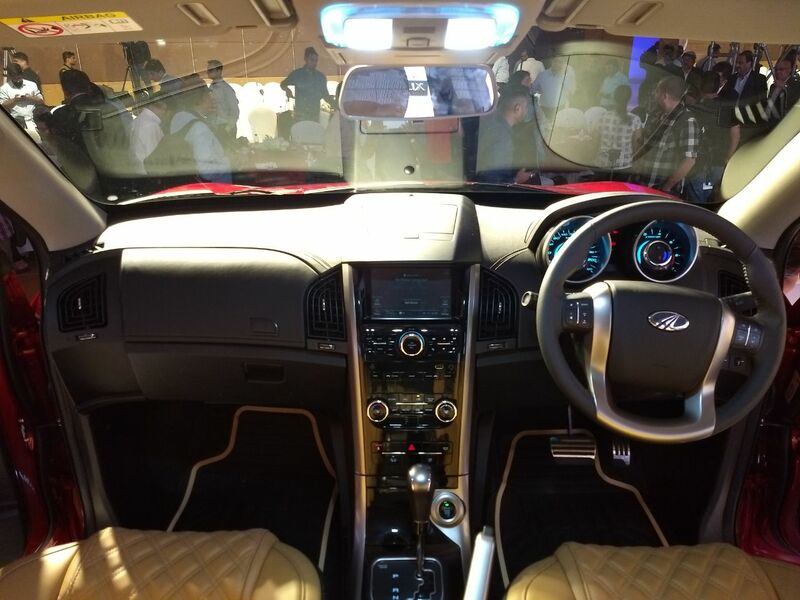 The SUV also gets a more plush looking cabin with premium soft touch materials, dual-tone colour scheme, piano black finish on the centre console, while the 7-inch touchscreen infotainment continues to be on offer. The Telematics unit has been updated and offers a few new features. 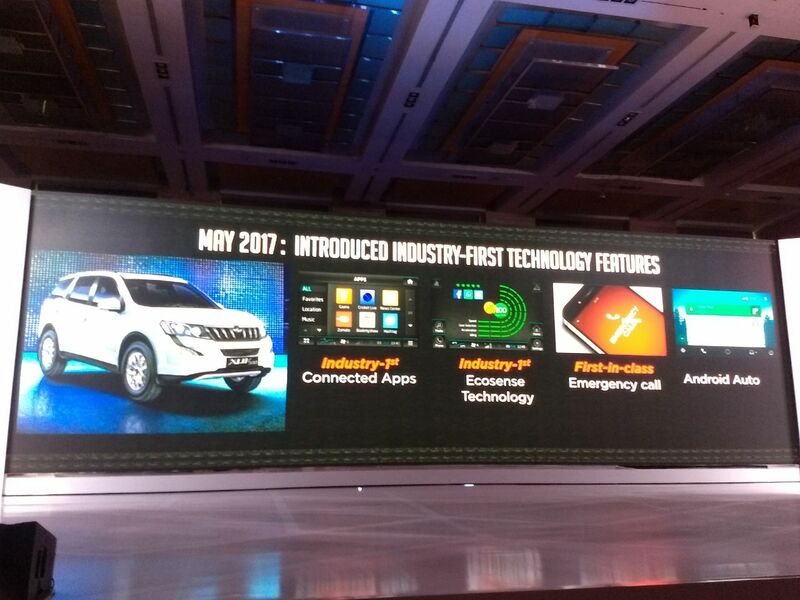 In addition, Mahindra has introduced smart watch controlled telematics on the new XUV, a segment first. Power comes from the upgraded 2.2-litre mHawk diesel engine. The four-cylinder oil burner is now badged as the mHawk155 and now gets power uprated to 153 bhp and 360 Nm of peak torque. 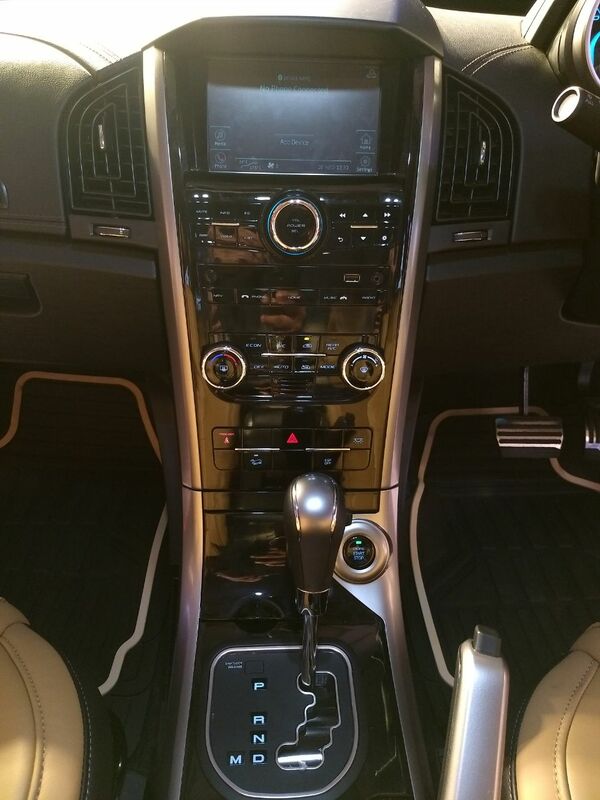 Transmission options include a 6-speed manual and Aisin sourced automatic options. The 2.2-litre mHawk petrol engine is also on offer that makes 138 bhp and is only offered with the 6-speed automatic transmission. 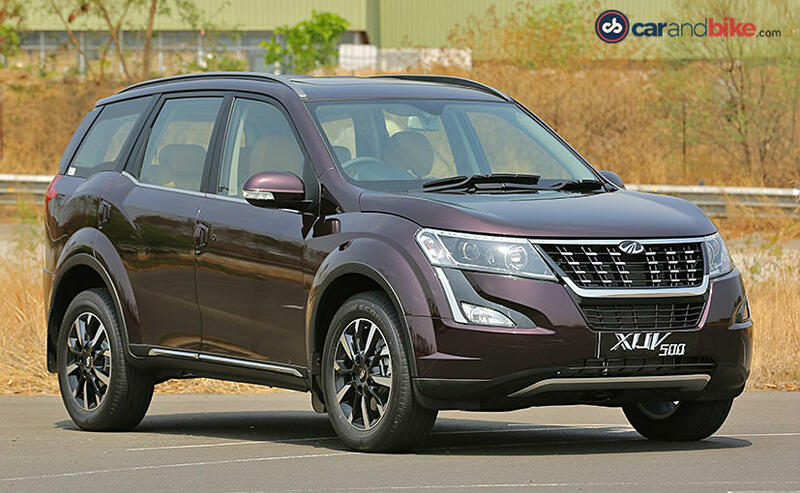 The 2018 Mahindra XUV500 facelift is cheaper than its predecessor despite the new features and update powertrain. With the update, the model is likely to find more takers as the automaker taps into the a more urban customer base with the XUV. 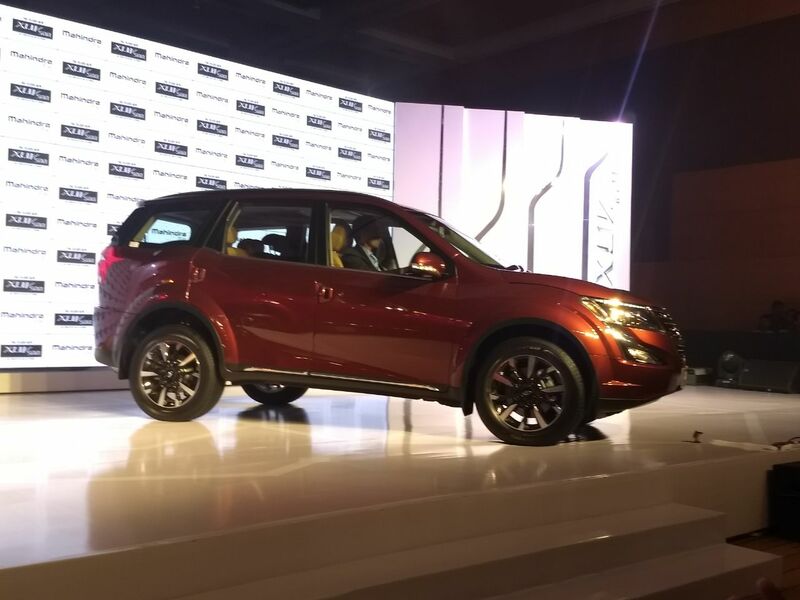 The 2018 Mahindra XUV500 Facelift has been launched and the prices start from Rs. 12.32 lakh. 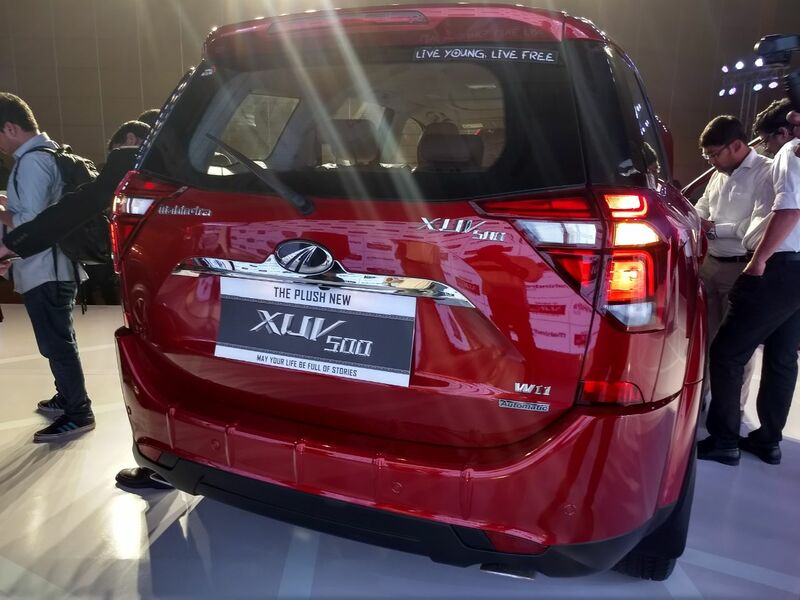 The rear gets a striking new look on the XUV500 facelift. New scuff plates too on the Mahindra XUV500 facelift. 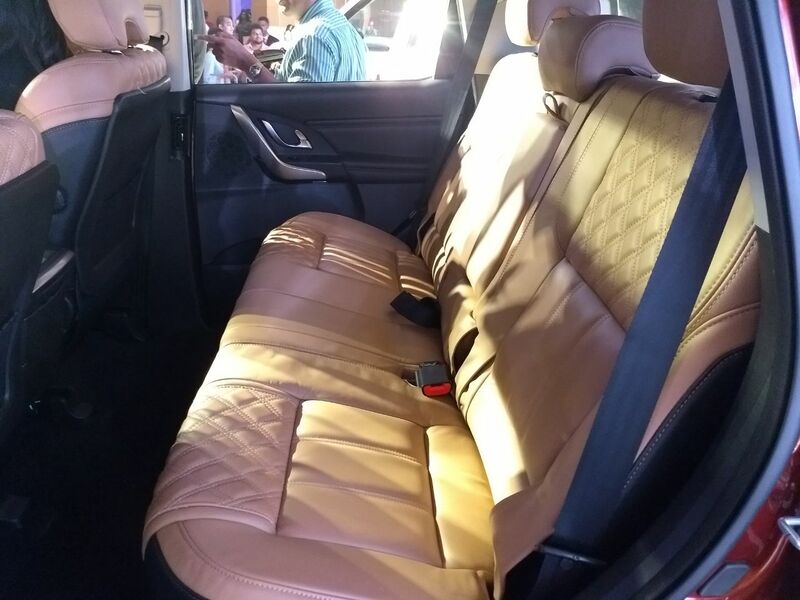 Mahindra has updated the seat upholstery on the new XUV500 facelift. The seats get finished in tan leather with quilted cross stitching on the top variants. 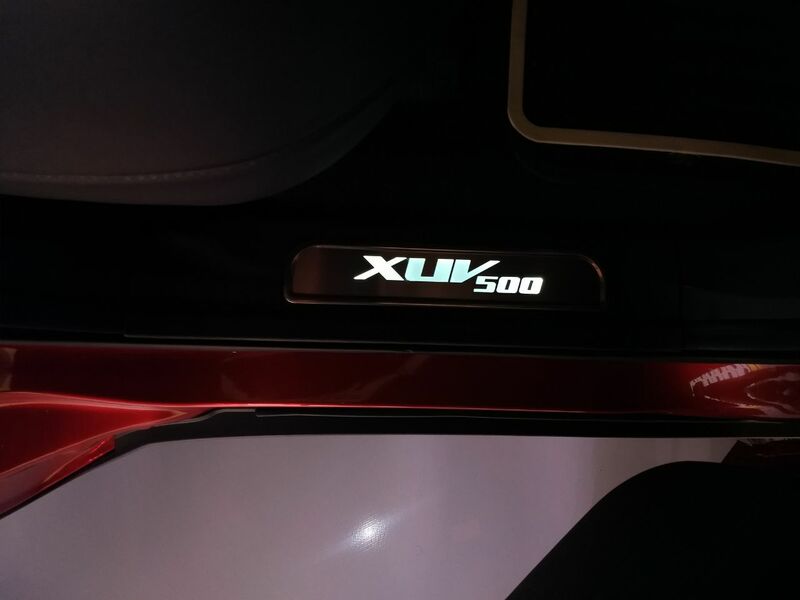 The XUV500 facelift's touchscreen infotainment screen is a 7-inch unit. The system offers access to a host of features including Mahindra's Telematics. The centre console gets a new piano black finish on the Mahindra XUV500 facelift. 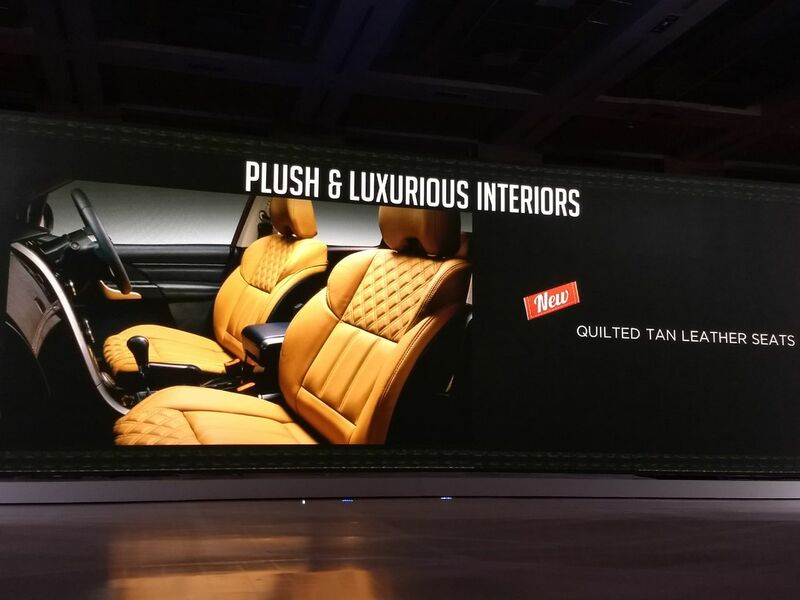 The interior design remains the same, but the Mahindra XUV500 facelift gets new soft touch materials and improved plastics. 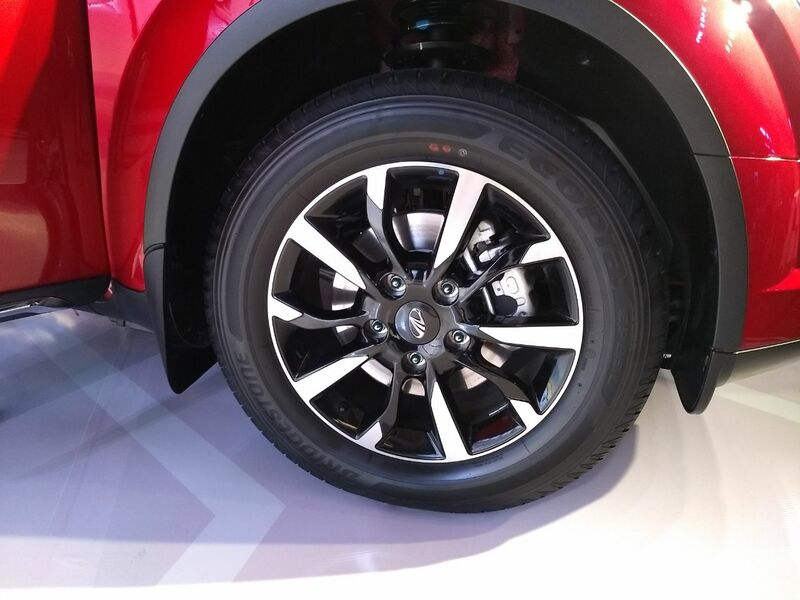 The new diamond cut alloy wheels add a premium touch to the Mahindra XUV500 facelift. The 2.2-litre four-cylinder mHawk diesel engine now produces 155 bhp, up from the previous iteration's 140 bhp on offer. The LED DRLs get a new design. Yay or nay? 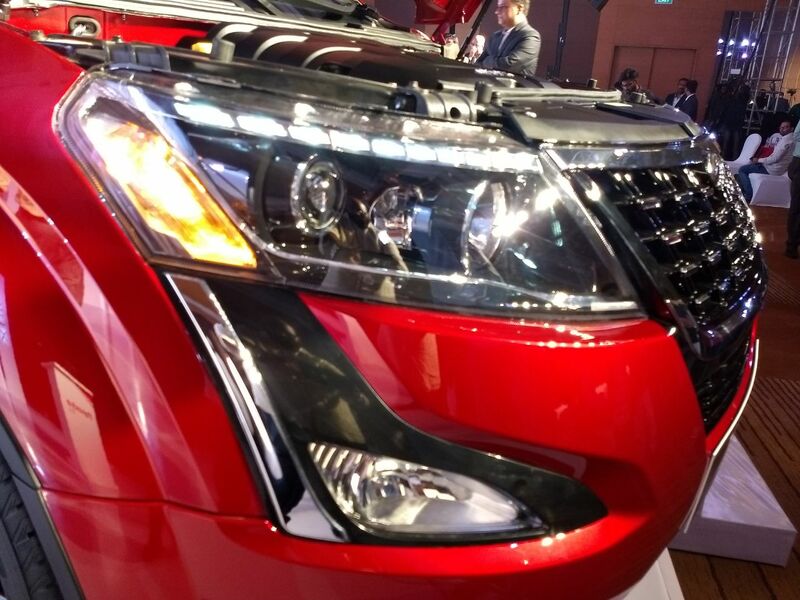 Here's a closer look at the new 2018 Mahindra XUV500 Facelift. The new styling certainly looks plush and a lot more cleanly done over its predecessor. Deliveries for the 2018 Mahindra XUV500 facelift will commence soon. The model has already started arriving at dealerships. Here's another look at the new 2018 Mahindra XUV500 facelift. The machine finish alloy wheels are optional. 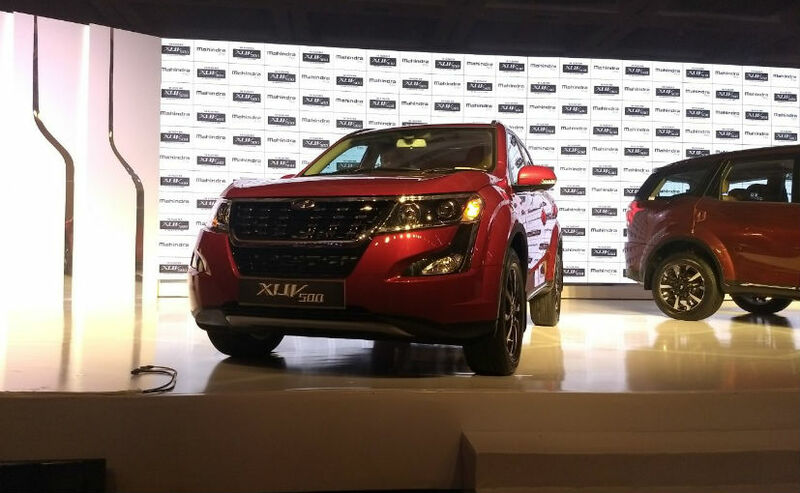 The 2018 Mahindra XUV500 Facelift officially revealed. There it is! The 2018 Mahindra XUV500 facelift is cheaper than the outgoing version. Prices start at Rs. 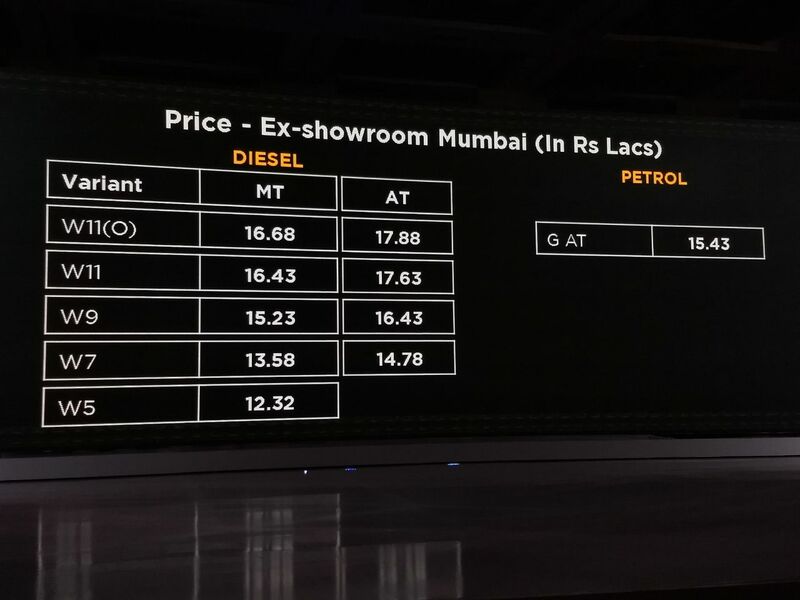 12.32 lakh (ex-showroom, Mumbai) for the base W5 trim, going up to Rs. 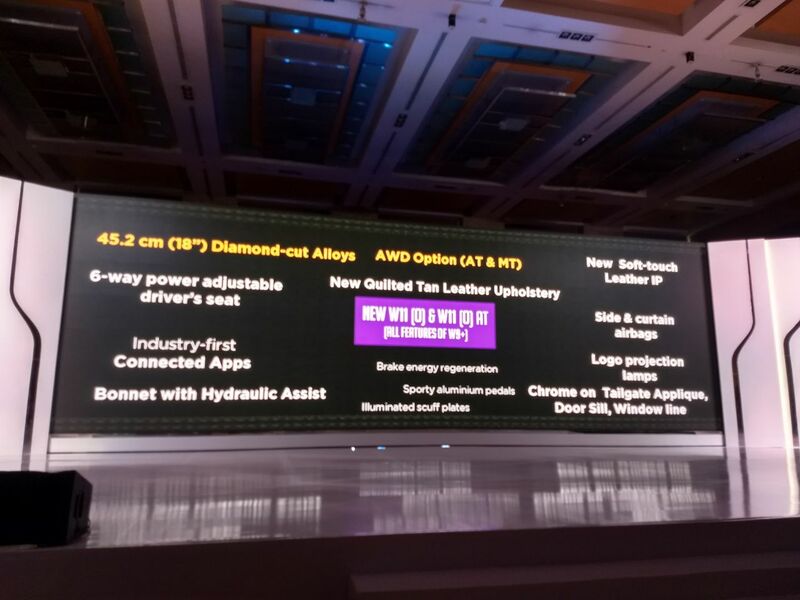 17.88 lakh for the W11 AT. 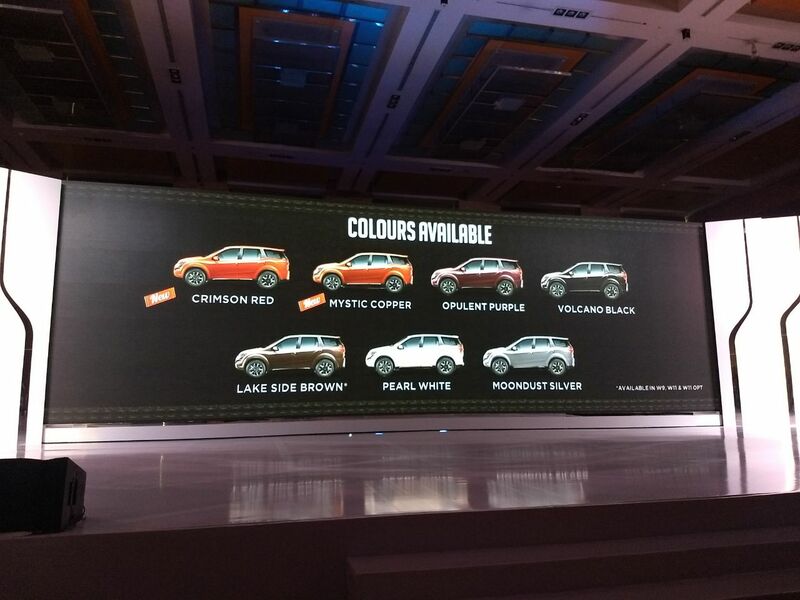 The first two colours are all new. Here's how the 2018 Mahindra XUV500 facelift stacks up against its competition. 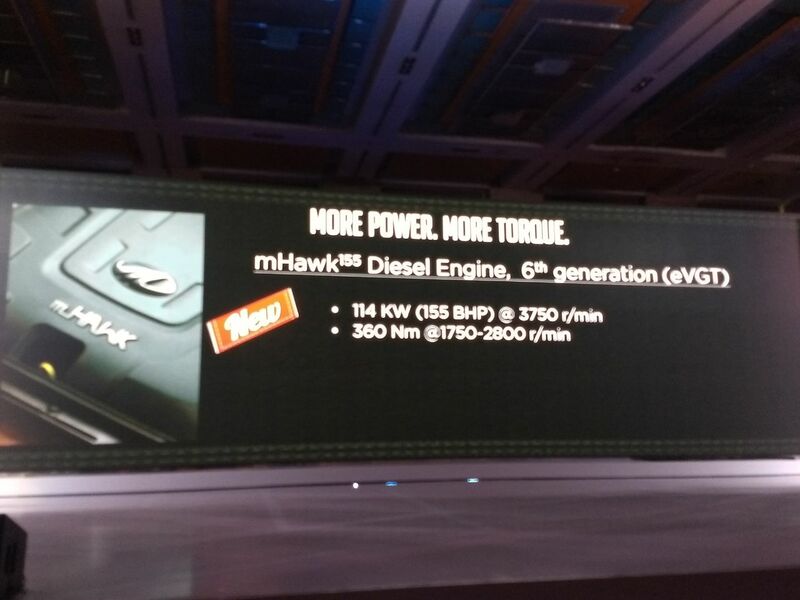 The 2.2-litre mHawk diesel engine now makes more power. Transmissions: 6-Speed Manual and Automatic. The 2.2-litre petrol engine continues to be on offer with 140 bhp, paired to an automatic transmission. 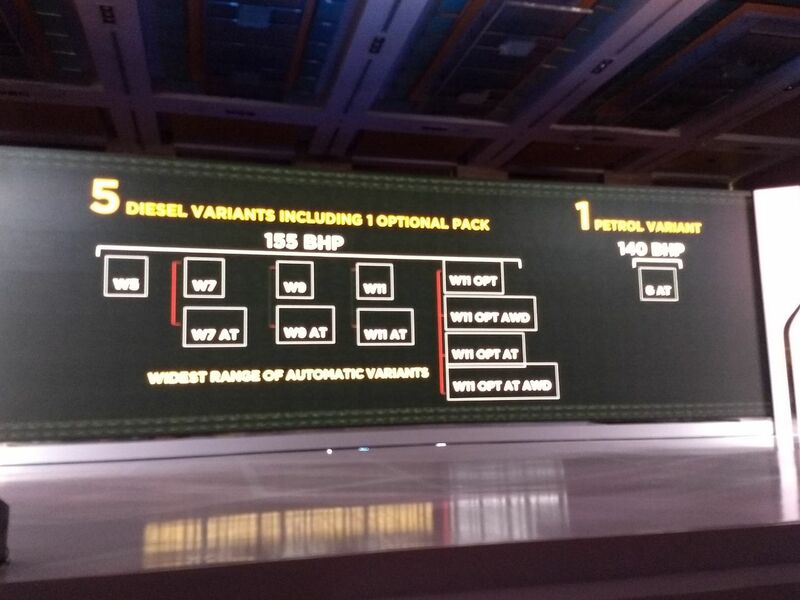 There are 5 diesel variants including 1 optional pack on the 2018 Mahindra XUV500 facelift. 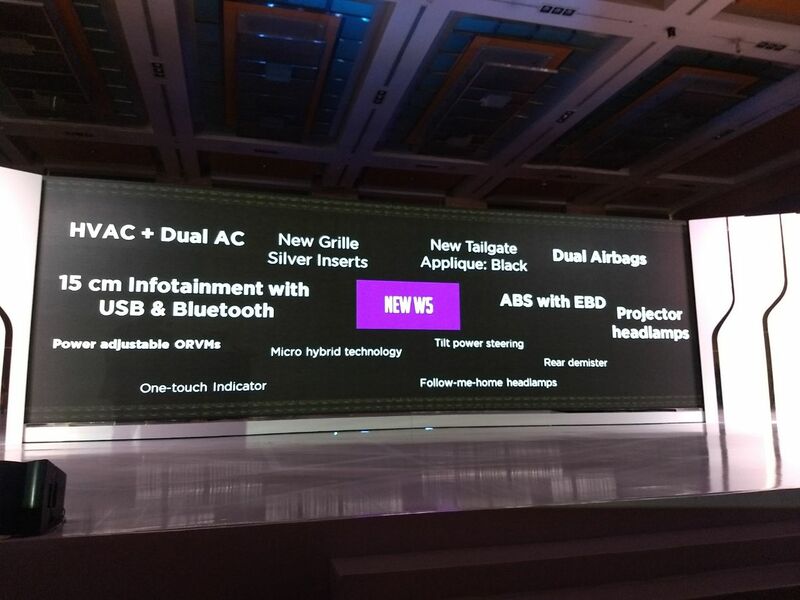 The SUV is also being offered with a single petrol automatic version. Here are all the features on the top-spec variants of the 2018 Mahindra XUV500 facelift. 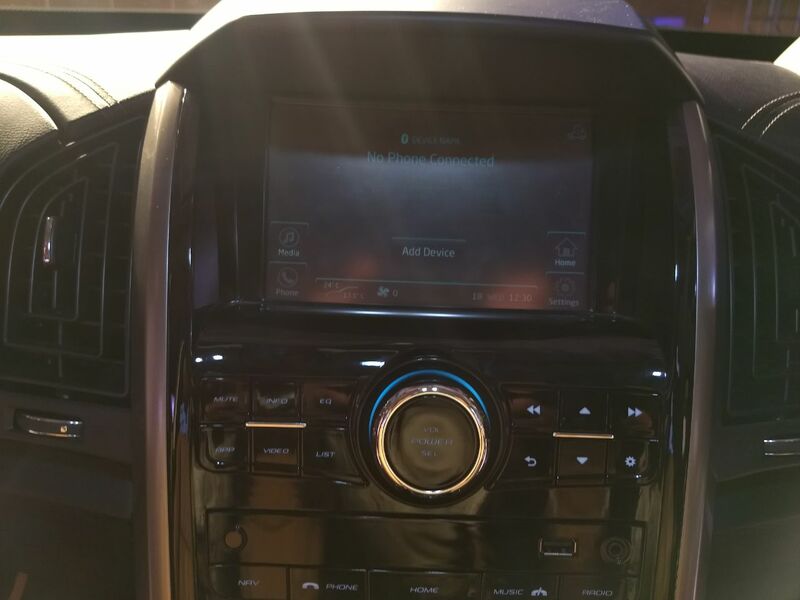 It's a features galore on the 2018 XUV500 facelift. Here's a complete look at all the features on the 2018 Mahindra XUV500 facelift. 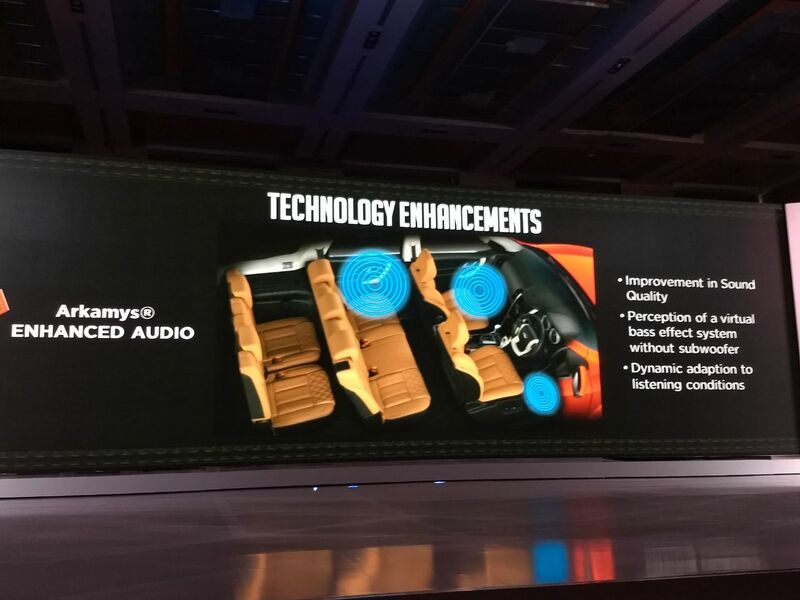 There's new Arkamy's enhanced audio system as well on the 2018 Mahindra XUV500 facelift. Improvements have also been made to minimise NVH levels on the XUV. 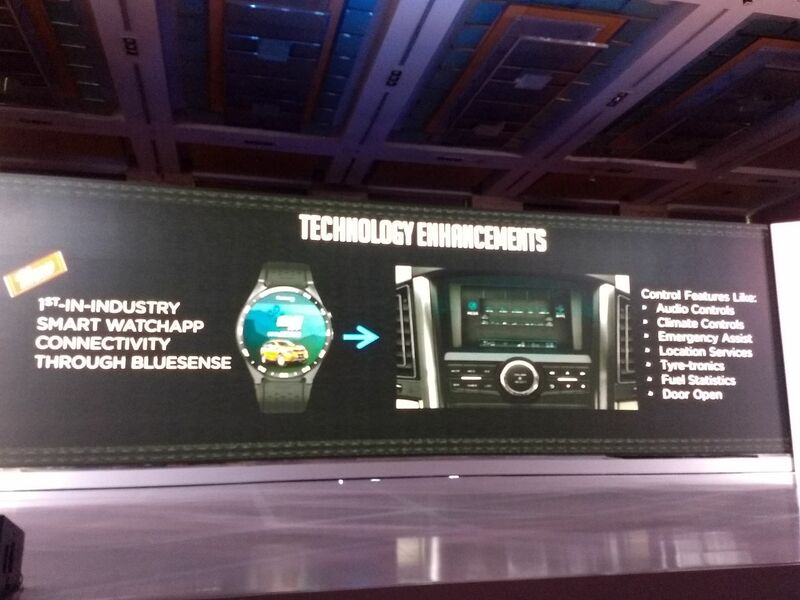 - Smart watch enabled feature control functions that control audio, climate, emergency assist, tyre-tronic, fuel statistics and much more. 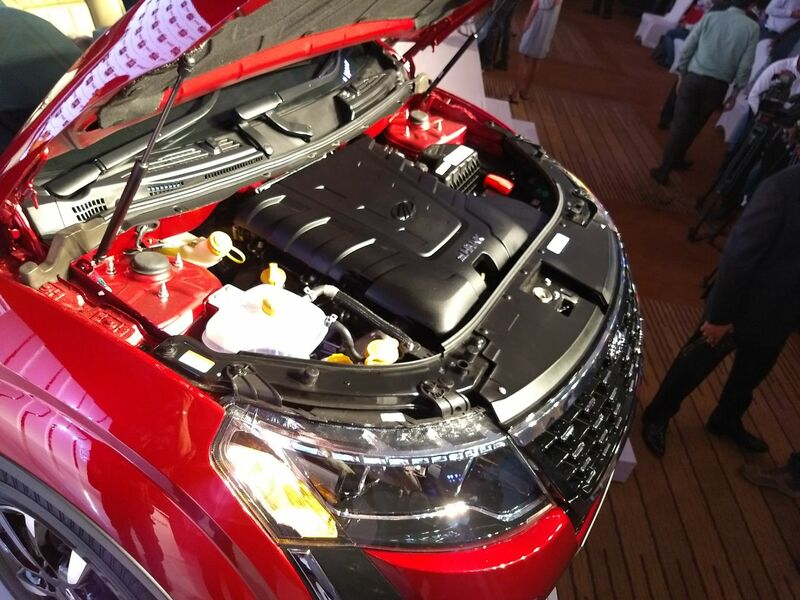 The cabin is now wider on the 2018 Mahindra XUV500 facelift. 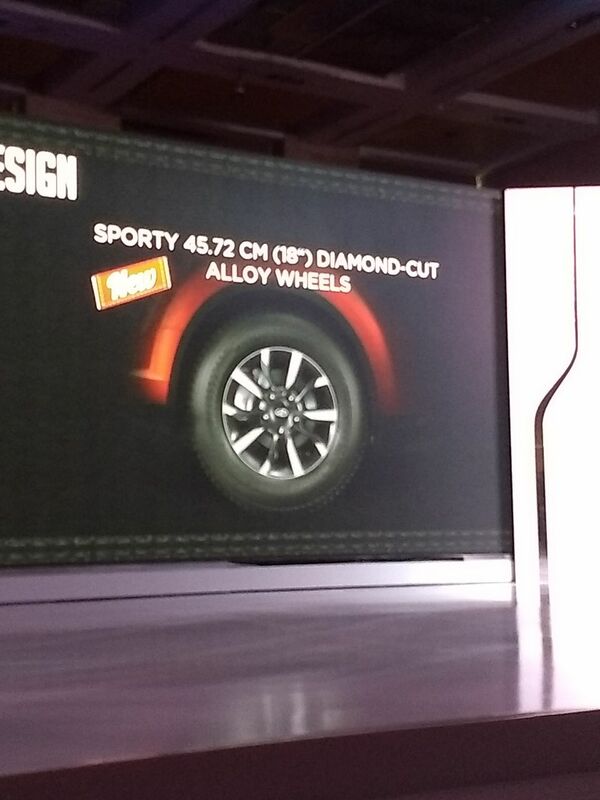 There are new 18-inch alloy wheels as well with machined finish. 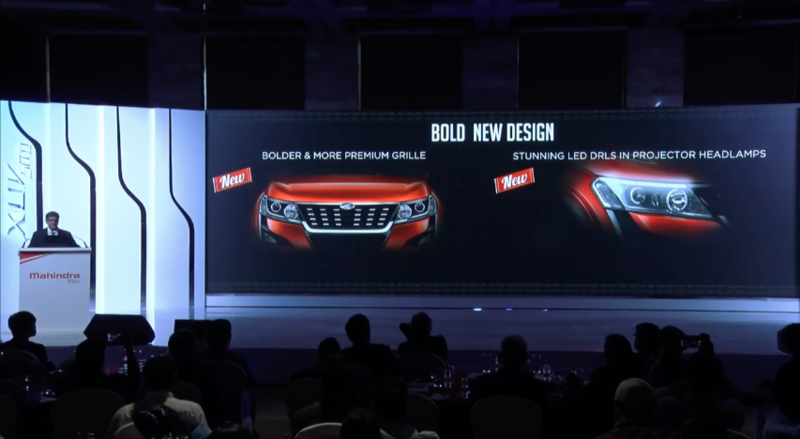 The new front styling of the Mahindra XUV500 facelift includes a bold new grille and revised fog headlamps. 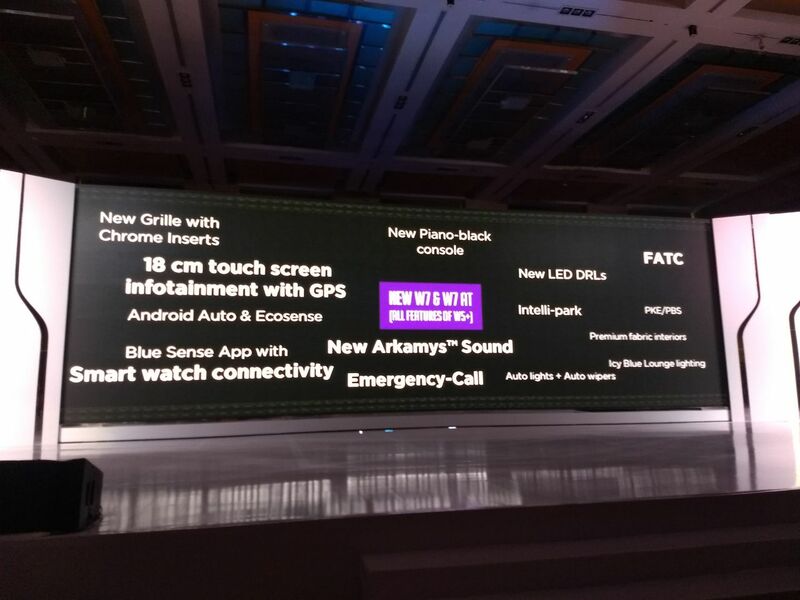 Veejay Nakra, Senior Vice President - Sales and Marketing, Automotive Division, takes the stage. 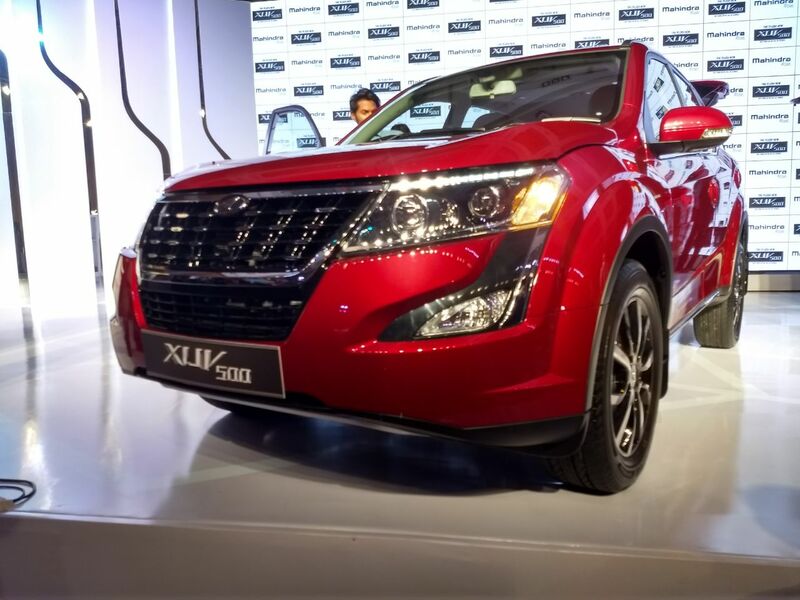 Talks about the new styling on the 2018 Mahindra XUV500 facelift. 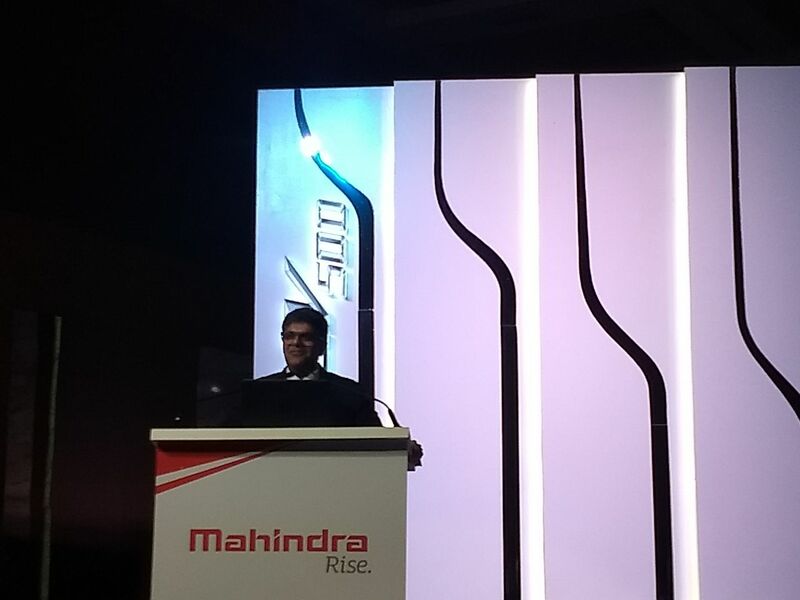 Lots of new features were introduced last year including Mahindra's new Telematics system.